As part of the Hall China Colorations collection, this 30434326 scarlet 12 oz. 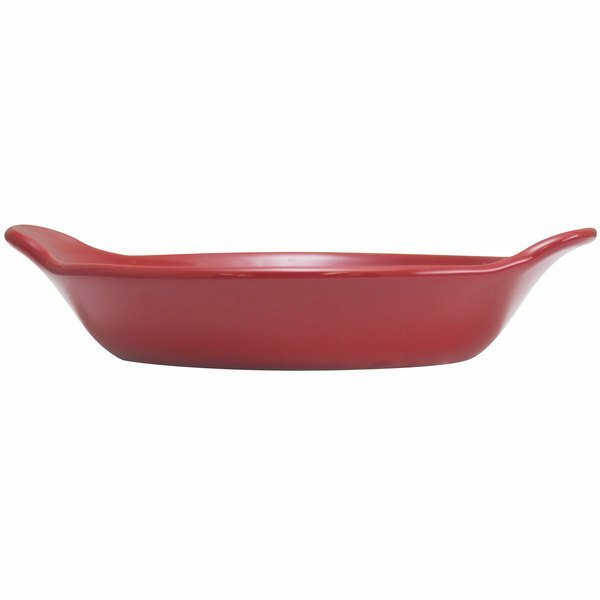 au gratin baking dish features an all-over, brilliant glaze, designed to coordinate with Colorations from The Homer Laughlin China Company. Made from stunning china, with a shallow oval shape and decorative extended ribbed sides, it's perfect for baking and serving your most popular thick, creamy sides, with the perfect combination of fashion and functionality. 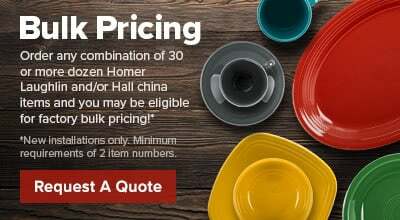 Hall China is made to last, with superior chip-resistance in critical wear areas such as the rim, the bottom, and the side walls. Its eye-catching glaze bonds to the china body to further prevent chipping, crazing, or cracking. Measures 6 1/2" in diameter by 1 1/8" high.